While the majority of The Met’s Online Collection users come from organic search, a significant volume of traffic comes from Pinterest. These users are normally in a discovery mode, and are looking for something that sparks an idea, stimulates their creativity, or provides a rich visual experience. In many cases they clicked on a pin link and came upon The Met’s Online Collection, they do not come to the website with a specific purpose, so their visit is unfocused and freer. Web analytics data shows how their behavior is different to other traffic sources and digging into the specific pins we can see how this site brings visits to objects that are not in the highlights of each curatorial department. Thousands of pins have been saved by users in the more diverse and sometimes unexpected boards. From crochet to tattoos, watches or color boards, Pinterest users come to the Collection and find something special that matches their professional or personal interests. This lightning talk will present data about the characteristics of Pinterest users including some fascinating stories about how people use the Collection artworks. Moreover, we will discuss how these platforms can bring new audiences and the challenges to provide an inspiring experience that will keep them discovering more art on the website. While the majority of The Met’s Online Collection users come from organic search, a significant volume of traffic comes from Pinterest. These users are normally in a discovery mode, and they are looking for something that sparks an idea, stimulates their creativity, or provides a rich visual experience. In many cases, they clicked on a pin link and came upon The Met’s Online Collection, they do not come to the website with a specific purpose, so their visit is unfocused and freer. Web analytics data shows how their behavior is different to other traffic sources and digging into the specific pins we can see how this site brings visits to objects that are not in the highlights of each curatorial department. Thousands of pins have been saved by users in the more diverse and sometimes unexpected boards. From crochet to tattoos, watches or color boards, Pinterest users come to the Collection and find something special that matches their professional or personal interests. This is a write-up of the lightning talk at Museums and the Web 2018, which presented data about the characteristics of Pinterest users, including some fascinating stories about how people use the Collection artworks. These platforms can bring in a new audience and challenge institutions to provide an inspiring experience that will keep them discovering more art on the website. This text describes the methods used to collect the data and provides more detail of the insights and reflections that resulted from this study. 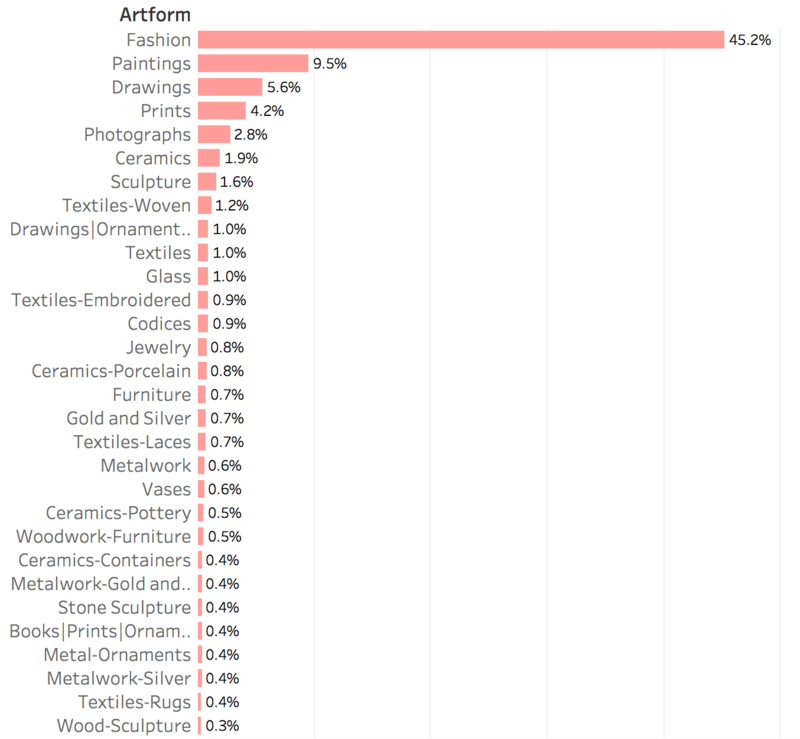 The method to collect the data included a combination of tools such as Google Analytics, Pinterest Analytics, and a short survey on the museum’s website targeting Pinterest users. The analysis includes both quantitative and qualitative data, looking at behaviors on the website, as well as identifying the users’ profiles and their motivations to use the site. This section explains in detail how this data was gathered from each of the different tools. For the traffic volume and user behavior analysis on The Met’s website the data was gathered from Google Analytics. The analytics data of this study covers the year 2017. In order to investigate the users’ characteristics in detail, a specific custom segment and a view were created filtering just the traffic from Pinterest. The data comes from the audience, acquisition and behavior reports and provides information about volume of traffic, user engagement on the website including metrics such as time on site or average pages visited per session, and the device used to access the site. 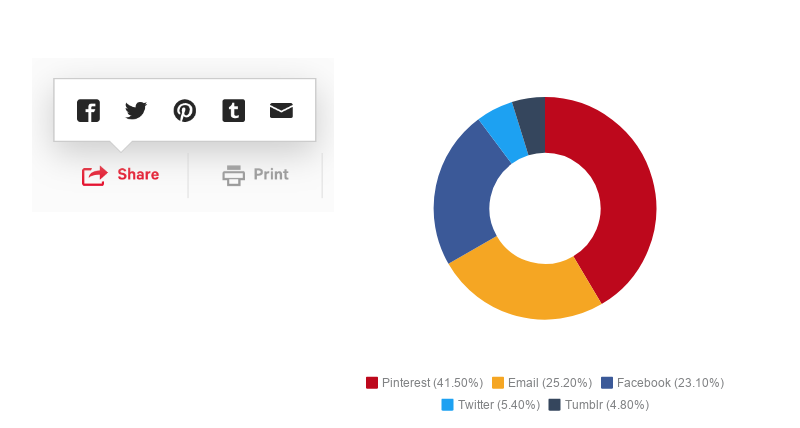 The reports are particularly useful in studying what pins bring traffic and what objects users save on Pinterest. The data from users’ shares was collected with the implementation of event tracking, which in this case collected the name of the sharing option selected as well as the URL of the shared object. 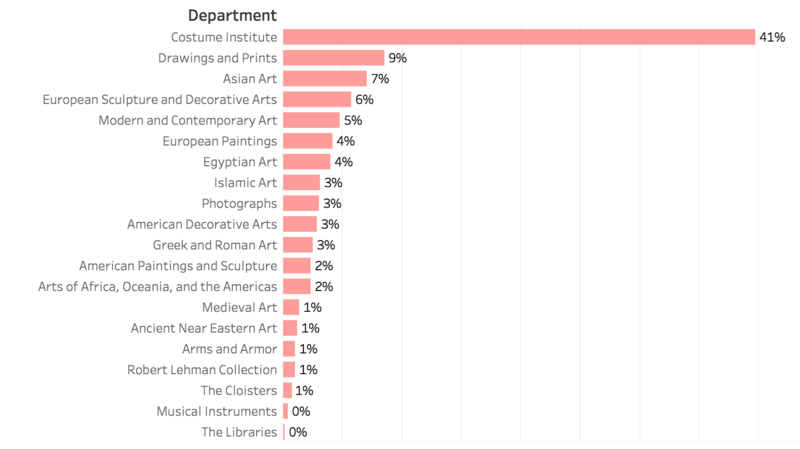 The second analytics tool used in this study was Pinterest Analytics, specifically the report about the activity on The Met’s website. This report includes data about the impressions, saves and clicks that pins from the website get for the period selected. A major advantage of analytics tools is that they show real user actions with a high degree of detail and, in the case of Google Analytics, it allows the comparison with other user segments that come to the Online Collection. However, there are certain limitations associated with just the use of this analytics tool to profile and understand users’ behavior. Therefore, a short questionnaire that pops up only to traffic coming from Pinterest was designed to ask users about the purpose of their visit, the relationship with the website and the museum. This online survey collected responses from 388 participants during the months of February and March 2018. In conclusion, the combination of the data from the analytics tools and the survey helped to quantify and characterize how people use The Met’s Collection on Pinterest and what the impact this sharing activity has on the museum’s website. There are different traffic sources to the Online Collection. Search engines bring the highest percentage of visits with users searching for the museum’s name, for specific artworks or keywords related to art. Within referrals, Pinterest is at the top of the list by far, bringing 4% of the total traffic to the collection, the majority coming as a result of users’ own activity. According to the web analytics reports these users spend approximately two minutes on the website, which is lower than the average for all the website visitors. Another significant data point related to their online behavior is that 72% of these users only view one page during the visit. This engagement with only one piece of the Collection in the majority of cases may be related to how they come across this content and the device they use to access the site, as just over half of these users come from mobile devices (Figure 1). Overall reports show that 67% of the Online Collection users access the website from a desktop and only a quarter does it from their phones. The behavior is influenced by their motivations to visit the website and the expectations of their website experience. This section looks at the user profile of this segment of the traffic. Previous user research on the Online Collection (Villaespesa, 2017) shows that a significant portion of visits to the online collection are motivated by a desire to get inspired by The Met collection. These users are normally in a discovery mode, and are looking for something that sparks an idea, stimulates their creativity, or provides a rich visual experience. Within this particular group there are two types of online behaviors that depend on the intention of the website visit: some may have come to the museum’s website with a specific purpose, while other users came mainly because they stumbled upon a link to the collection on another site and they are seeking a relaxed browsing experience without a definite plan of what to find. Web analytics data shows that these users come from other websites, and social media represents a high proportion of this traffic. However, not everyone in this group is a regular and engaged user of the website, and the behavior report on Google Analytics provides some insights about this fact, demonstrating that this is a group with a significant proportion of new users. Following these findings, within this particular group there are clearly two types of online behaviors based on the intention of the website visit. Based on the particular intention to visit the website, two segments can be differentiated within this group. The first segment are the inspiration seekers, whose visits are driven by a search for inspiration or art images. This group includes artists and creative art professionals, art enthusiasts and personal researchers. These users are in a focused visit, searching for something in particular that can stimulate their creativity. They search for particular art and also use filters for browsing the collection. There is a significant amount of visits led purely by visuals in this group, so these users are interested in downloading images and enlarging them to see the works in greater detail. The second segment is made of the casual browsers. Similar to the previous group, these users come to the website motivated by an inspirational and in many cases, visual experience. The difference with the previous segment is that they are not coming with a specific purpose to the website so their visit is unfocused. They clicked on a link on another website or stumbled upon The Met’s website content on social media. Pinterest is a significant traffic driver for both inspiration seekers and casual browsers. The survey targeting these users digs deeper into their specific motivations and the relationship with the museum. 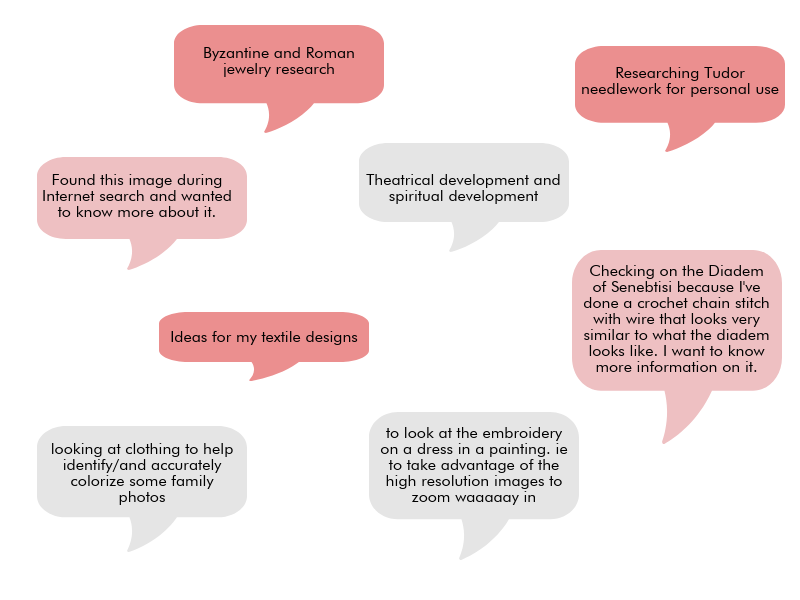 When users were asked about the main purpose of their visit there is clearly a high proportion of these users that are searching for visual content and inspiration for their own work that includes a range of artistic practices such as painting, crochet, jewellery making, fashion design or photography among many others (Figure 2). There are also users doing research mainly for personal purposes: looking for a wedding dress, decoration ideas or costumes for a play. There is also another group of users that are using this platform for learning purposes, for example to conduct research for their studies or to prepare a visual presentation for a class. The type of users in these segments vary. 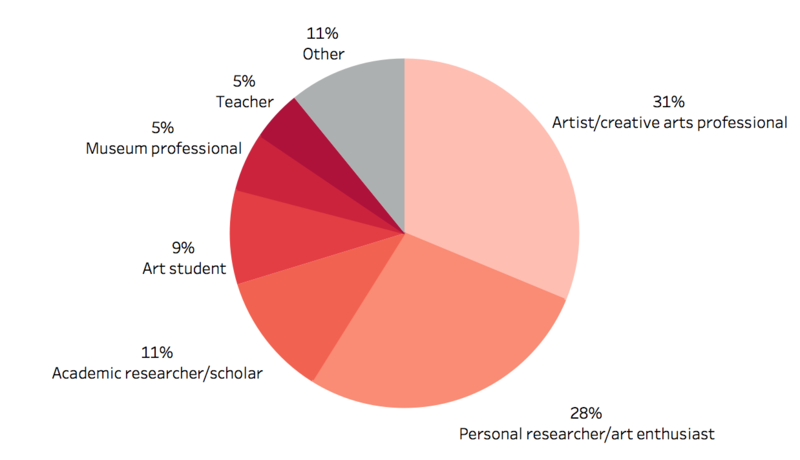 The following chart shows how people describe themselves, which includes 31% of artists and creative professionals, 28% of personal researchers and art enthusiasts, and then, a bit more than a third of users that consist of academic researchers, students, museum professionals and teachers. One of the goals of the survey was to understand the relationship with the museum. 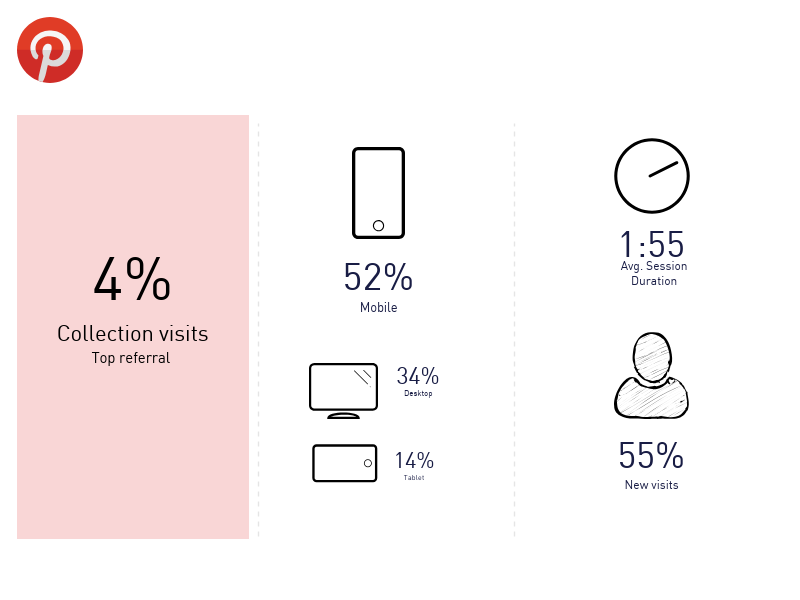 Figure 4 shows that 54% of Pinterest users that visited the Online Collection had never visited the museum in person, which brings an interesting insight about the impact of this platform reaching to new audiences and connecting with people located outside of New York who are interested in the museum. The reach of an object potentially increases when someone who visits the museum’s Online Collection shares this page or image on social media. The visibility of this object can increment even more when people on this social media site save it and continue the sharing chain. As a result of this, someone who stumbles upon this object while searching for a keyword or because of the content posted by followed users, may click on the original source, bringing this person to the Online Collection. This section will present the stories we found of people sharing content on Pinterest and how that brings traffic back to the website. The stories behind the shares on Pinterest bring fascinating and sometimes surprising findings about how users interact with the museum’s collection. 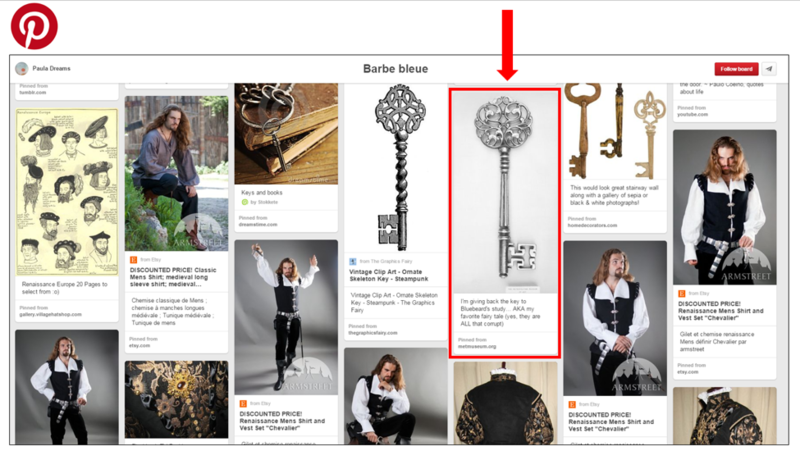 Pinterest is the preferred sharing option for users on the object page. This data was gathered with Google Analytics event tracking and, due to the available tracking settings, it excludes the shares of users that have Pinterest or other social media sharing extensions on their browsers. This section undercovers some of the stories of the sixteen thousand objects that were shared by users on Pinterest in 2017. An interesting fact is the fairly equal distribution of the number of times objects were shared on this site. The object that got the most shares was pinned 22 times but the majority of objects were shared just once. However, when the objects are grouped by department or artforms clear patterns appear on how popular Pinterest trends such as fashion, home decor or photography are reflected on the objects shares (Figures 6 and 7). Once objects are shared from the website to Pinterest, then the viral effect of these platforms takes place, increasing the reach and interaction with these object images. Users see these images from the boards they follow or from searches they perform and then they save these images in their own boards. Pinterest Analytics reports show that about on average 596K people potentially viewed this content in 2017 and that brings, in some cases, saves, clicks and other interactions with these pins. There is not much detail in Pinterest Analytics that allows one to see the distribution of those interactions, but figure 8 shows the power pins, those with a high interaction, for all time. When looking at analytics for the online collection the overall most viewed objects remain fairly consistent, but when looking at object views broken down by curatorial department, we often find high traffic to unexpected objects coming from unexpected Pinterest boards. This 19th century German crochet sampler was, for a period of time, the most viewed object in the museum’s European Sculpture and Decorative Arts collection. In a department with seminal works by Rodin, Degas, and Bernini, this sampler got more views due to referral traffic from several Pinterest boards related to crochet work. Though the Met has hundreds of examples of crochet works, this single object has received the majority of traffic. Figure 9: Sampler, German, 19th century, From the Collection of Mrs. Lathrop Colgate Harper, Bequest of Mabel Herbert Harper, 1957, 57.122.694. Another top viewed object from the European Sculpture and Decorative Arts collection is an 18th century British key. It’s on many boards related to keys and also received traffic from a board dedicated to the story of Blue Beard. 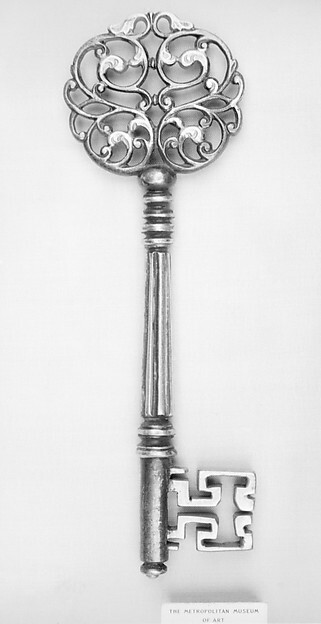 Figure 10: Key, British, 18th century, Rogers Fund, 1910, 10.100.86. Interestingly, the majority of boards the key appears on are on boards about Tattoos. We have since learned that keys are a popular tattoo design. 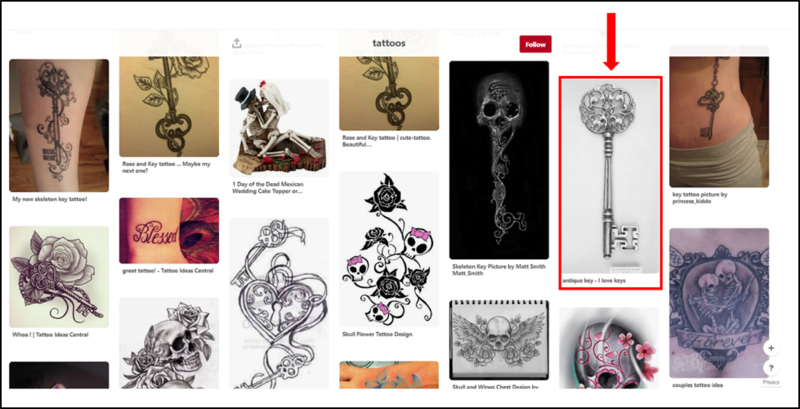 Figure 12: Pinterest board about tattoos. Items from our costume collection are among our most pinned objects, mostly on boards related to fashion. A 1934 dress by Travis Banton received traffic from a Pinterest board about the fantasy novel series Throne of Glass. This is the only example we have seen so far of a topic related to teen novels. Conclusion: How to create inspiring experiences? Looking at Pinterest traffic has provided fascinating new insights into The Met’s web visitors. The museum is discovering new and unexpected audiences with varied interests ranging from crocheting and tattoos to teen novels, over half of whom have never visited The Met in person. However 72% of Pinterest users visit just one page per session. Our next goal is to extend the user journey and inspire visitors to explore more of the collection. The museum has hundreds of examples of keys and crochet samplers, we will be examining ways to better convey this to users. We will be looking at the layout of the object pages and determining the best way to present related content, which is currently at the bottom of the page and often overlooked by users. We are using heat maps and analytic events to see where users are clicking on object pages. The museum will also be adding subject keyword terms to help users find works based on depicted subject matter. Villaespesa, E. (2017). “Who are the users of The Met’s Online Collection?”. Consulted May 4, 2018. Villaespesa, Elena and Choi, Jennie. 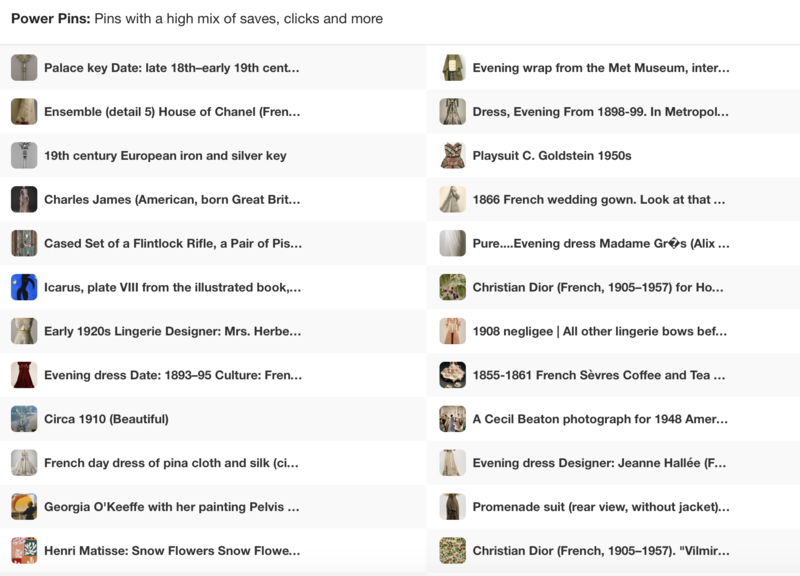 "Pinning Art: Data and Stories behind the usage of The Met’s Online Collection." MW18: MW 2018. Published May 10, 2018. Consulted .